Archery hunters know how important it is to find their arrow shaft after the shot. The arrow will tell the tale of a hit or miss. Low light, forest debris, and foliage can quickly hide the arrow. A lost arrow tells you nothing and costs you an arrow, and maybe a critter. When hunting with a buddy, I called in a nice bull. The critter was walking in at about 30 yards when he let his arrow fly. The bull turned and ran off. No blood was immediately found. As I started to search for his arrow, he insisted that he made a lousy shot and had missed the elk. Perhaps he was sincere or just embarrassed about missing a shot. He sat on a log and took a break. I hunted for the camouflaged arrow. It was getting late and light was going down fast. Before the hunting season, I had tuned his hunting shafts. The fletching’s and broadheads were aligned. The blades were sharp and balanced. The shafts were coated in Armor All to reduce noise and improve speed. 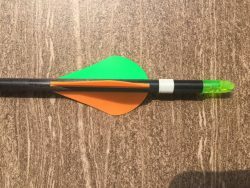 I also had applied a strip of reflective tape around the shaft between the fletching’s and nock. 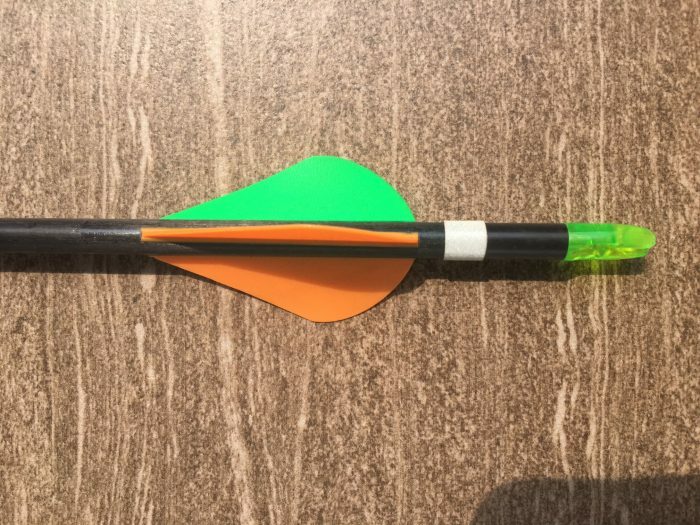 The reflective tape adds no weight and allows you to find the arrow with a flashlight. Currently, Montana did not allow expensive Lumanocks. Once the light went down, my buddy was ready to head back to camp. No sign of the arrow could be found. I grabbed my flashlight and scanned the area. Ten feet away I saw a reflection. The arrow was covered in blood! We started searching for blood using a blue lensed flashlight and there, 100 yards away, was the downed bull. The shot was high, and the blood did not drip quickly to leave a trail. The good news was that we found his bull. The bad news was that we would be packing out in the dark. If I would have believed my buddies story, the bull would have been wasted.